Hello friends, I know you are excited about the Lenovo Vibe K5 Flash sale on amazon today at 2 p.m. for Rs 6999 only, but to increase your excitement a little more, amazon has come up with a new loot offer. 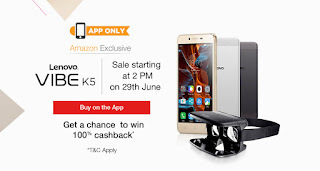 Amazon is giving out free 100% Cashback to 10 Random Buyers, read the step below on how to participate in the contest and get 100% cashback on Lenovo Vibe K5. 1) First Sign up on amazon if you didn't already. Note: This offer is valid on mobile app only, so you need to use amazon android app, this offer is not valid on iphone or windows amazon app. 4) After the flash sale Ends, 10 Random winner will receive a email/phone from amazon and will be asked to answer a simple question, all customer who answer the question correctly will receive full 100% Cashback. Residents of the state of Tamil Nadu are not eligible to enter the Contest since such contests are prohibited in the state of Tamil Nadu under the Tamil Nadu Prize Schemes (Prohibition) Act, 1979. 1. This Contest will commence from June 29, 2016 at 14:00:00 p.m. (IST) and end on June 29, 2016 at 14:59:59 p.m. (IST) ("Contest Period"). 4. 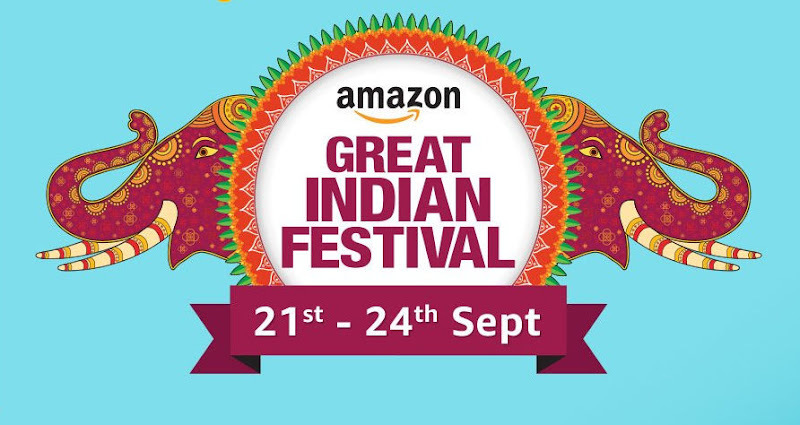 All customers who answer the Contest question correctly within the time period communicated by Amazon, will be eligible to receive Amazon.in Gift Cards (issued by QwikCilver Solutions Private Limited) worth INR 6,999 from Lenovo ("Prize"). 5. Please note that this is an App-only Contest i.e. you will NOT be eligible for this Contest if you purchase the Product from the desktop site or mobile site of Amazon.in.